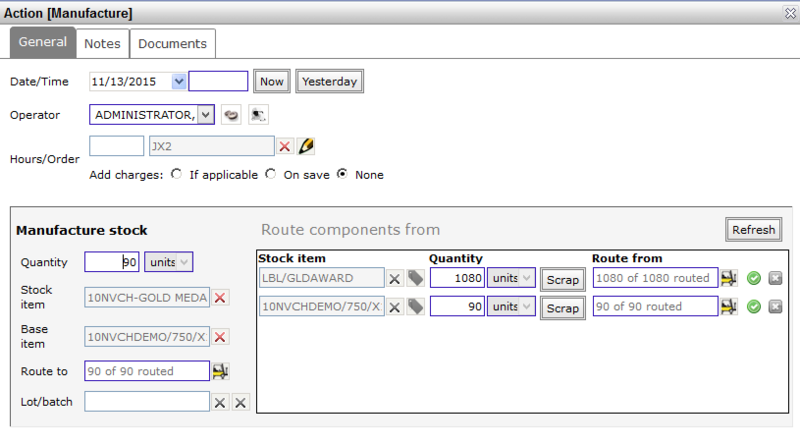 The Manufacture operation allows you to build complex stock items from packaged goods. 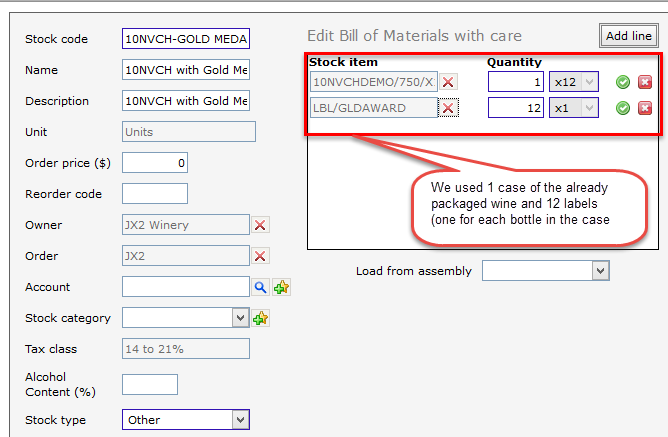 This allows you to take an existing single-bottle packaged stock item (which contains the bulk wine component) and manufacture it directly into cases. We took 1200 single bottles (already packaged) and created 100 cases. Label cleanskins/shiners – click here. 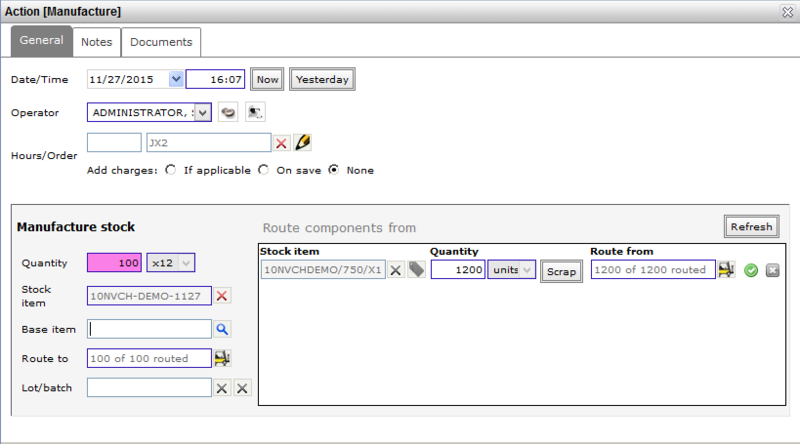 Once set up, you can only change a Bill of Material if you have not yet packaged it. However, there are situations that require you to add components to a packaging, but you don’t want to have to reverse a packaging just to add components. 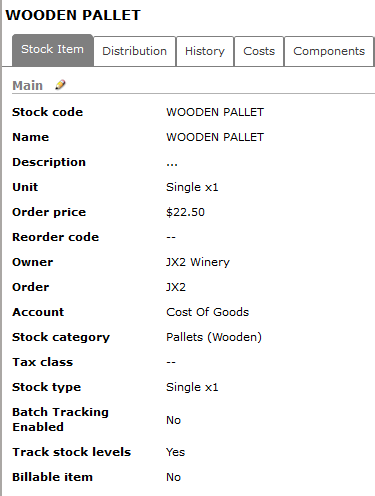 In addition to labeling cleanskins/shiners, among the situations that might require added components are having cases in temporary cartons (awaiting the arrival of the printed cartons and special dividers); needing to add various stickers, such as export neckbands, special award stickers, etc. 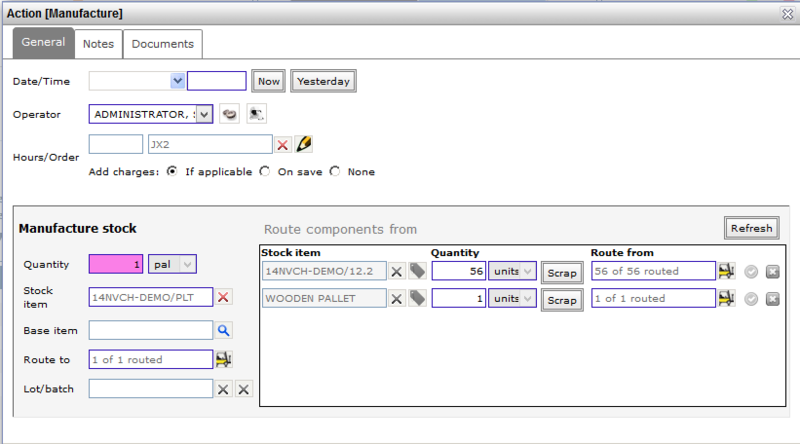 First, if you haven’t already done so, create the stock items for the components to be added to our packaging. 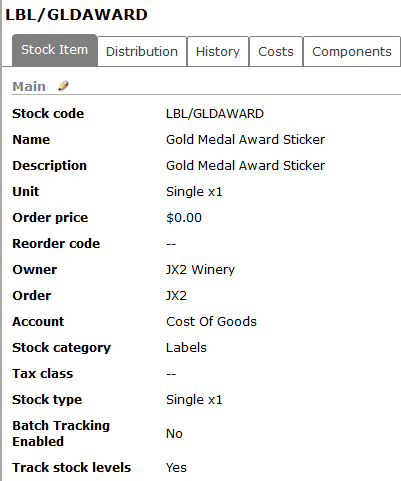 In our example we are going to add a “Gold Medal Award” sticker to 90 cases of our 10NVCHDEMO/750/X12. We create the stock item for the new “Gold Medal Award Winning 2010 NV Chardonnay”. 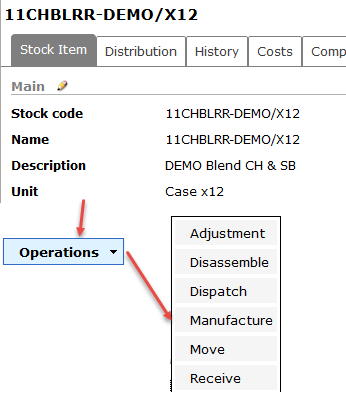 Go to Inventory – Manufacture or use the Operations button at the bottom of the Stock item overview. Here’s our completed manufacture operation that added stickers to 90 cases of our 2010 NV Chardonnay. 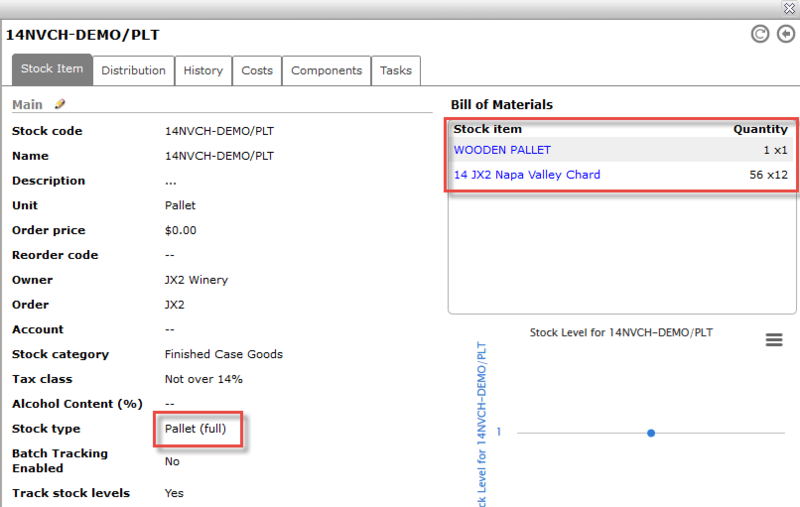 Let’s palletize 56 12-pack cases (1 pallet) of stock item 14NVCH-DEMO/PLT. Enter the date and time stamp and you are ready to save.